In February 2019 I had the honour of giving a lecture for Community Links on ‘Our Digital Future: Getting Ready for Everything’. I’ve now had a chance to write up my speaking notes into something other people might understand. I’d love people’s comments and thoughts (and yes, I know the referencing could be improved!). This entry was posted in digital revolution, futures, industrial strategy, political economy, talks, whatsgoingon on March 3, 2019 by David Bent. In mid-February I chaired an all-day conference on the “SDGeneration – A Citizen Science Movement”. My main reflection is how taking part in knowledge creation is a vital part of having agency in an overwhelming world, and a route to mobilising young people. This entry was posted in political economy, talks, whatsgoingon on March 2, 2019 by David Bent. Earlier this week I had the honour of giving a lecture for Community Links on ‘Our Digital Future: Getting Ready for Everything’. Here are the key points; I’ll be putting up the talk when I’ve turned the notes into something that other people can read. Thank you to Venu and everyone for the chance to share my thoughts. This entry was posted in digital revolution, inequality, political economy, talks, whatsgoingon on February 9, 2019 by David Bent. 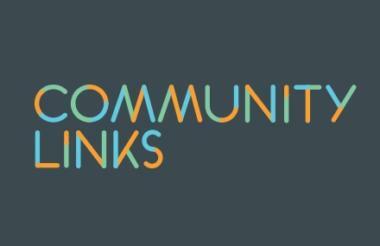 Quick announcement: Community Links have kindly asked me to speak on ‘Our Digital Future: Getting Ready for Everything’ on evening of Thu 7 Feb. This entry was posted in talks, whatsgoingon on January 24, 2019 by David Bent. Earlier today I had the pleasure and privilege of speaking at the first session of a network for education and lifelong learning institutions in east London brought together by Aston Mansfield, a community charity. This entry was posted in digital revolution, talks, whatsgoingon on September 26, 2018 by David Bent. Earlier this week I spoke at on Industrial Strategies and a Stakeholder Economy at an event on ‘Redesigning Capitalism: From shareholder to stakeholder capitalism’. The event was run by Promoting Economic Pluralism, which is creating and supporting spaces for diverse voices, perspectives and approaches to understanding our economies to help co-create truly sustainable, resilient and inclusive ones. PEP is run by the inimitable Henry Leveson-Gower, who deserves great praise for pushing for requisite variety in economics. We’re in a profound mess. Industrial strategy is ‘back’ because new approaches are needed. There is a spectrum of industrial strategies, reflecting different political preferences. Addressing transformation failure probably requires a ‘participative’ approach. That makes a ‘stakeholder economy’ both a means and an end. Orientating everything in an economy to address the profound mess means we have to experiment everywhere. There are hints of an emerging practice of transformative, participatory industrial strategy. We need many global ‘social learning cycles’ to get better at using participative approaches in industrial strategies to deliver a sustainable footing. This entry was posted in industrial strategy, political economy, system change, talks, whatsgoingon, work in progress on September 22, 2018 by David Bent. At the end of November, I had the honour of giving the Keynote speech at the Ceylon Chamber of Commerce Best Corporate Citizen Sustainability Awards 2017. I was there as an affiliate of Good Karma, a Sri Lankan consultancy I’ve had the pleasure of working with this year. You can read my speech below on why economic transformation is inevitable, the best way to win the future is to invent it; and, that Sri Lanka can choose to grow towards a sustainable future. This entry was posted in corporate strategy and sustainability, energy and climate change, futures, innovation, public policy, role business in sustainable economy, system change, talks, whatsgoingon on December 12, 2017 by David Bent. But…what about users? Quick take on challenge for digital platform cooperatives. What if the constraint on eternal growth is biology, not physics? business and sustainability - a work-in-progress blog by David Bent-Hazelwood is licensed under a Creative Commons Attribution-NonCommercial-ShareAlike 3.0 Unported License. Based on a work at davidbent.wordpress.com.